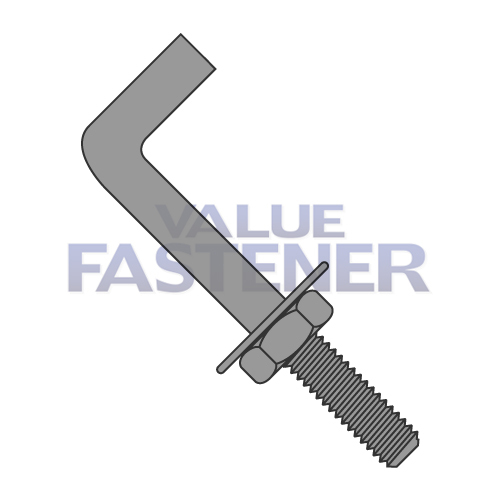 Bent anchor bolts are a headless fastener with a partially threaded shank. A portion of he top unthreaded section of the bolt is bent at a 90-degree angle. It is recommended that bent anchor bolts be supplied with (a) nuts that conform to ASTM A194 or A563 Grade-A (hex or heavy hex); and (b) washers that conform to ASTM F436 Type 1.